between Steven Soderbergh and Cliff Martinez. 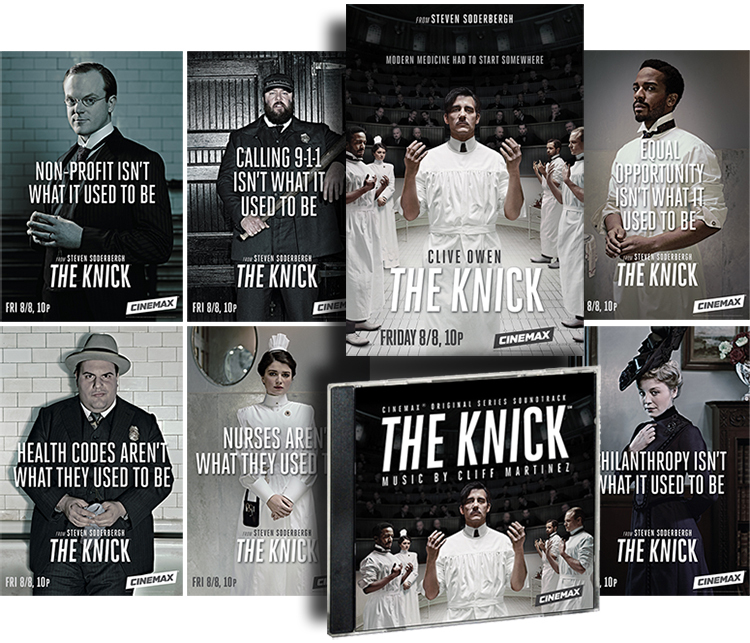 Milan Records will release The Knick – Original Television Soundtrack digitally on Tuesday, August 19, followed by a physical CD release on Tuesday, September 16. The album, which will also be released on vinyl later in the year, features original music by composer Cliff Martinez, a Rock and Roll Hall of Fame inductee as a member of the Red Hot Chili Peppers.